When many of us think of a solar home we normally envision a specially designed, carefully crafted construction . 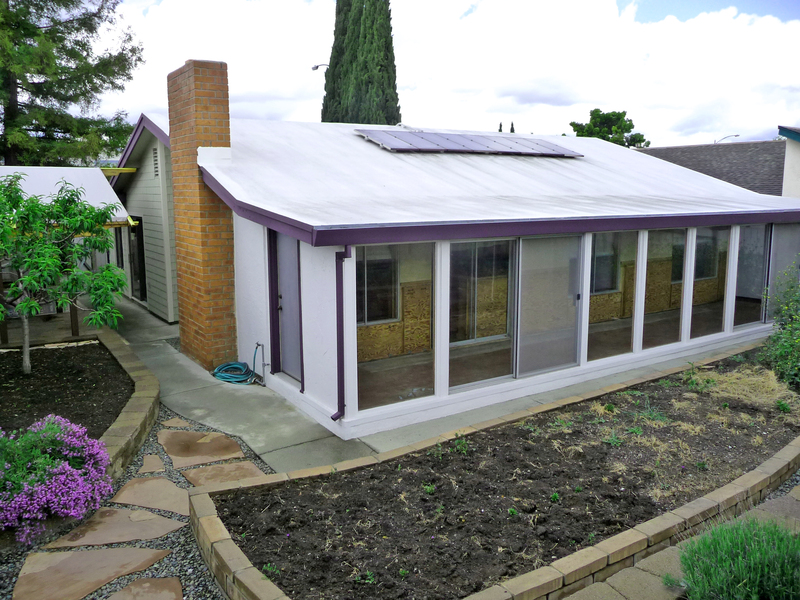 Hardly ever we can think of a modest 1,200 square foot tract home in South San Jose as being a model for passive solar benefits that almost all of us can achieve. This is exactly what Frank Schiavo did when he retrofitted his 1978 home to harvest our greatest energy source – the sun. Frank was an extraordinary man. 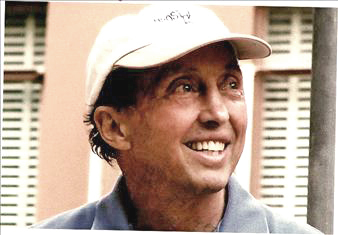 He was an enthusiastic passive solar home consultant, environmental educator at San Jose State and an avid social change advocate. One of his most fascinating qualities was that he produced no trash. That’s right; he composted everything and never bought anything that he couldn’t recycle. He even stopped paying garbage bills to the city which was a highly controversial and highly publicized move. Gotta love this spirit of sustainability! Unfortunately Frank passed away very unexpectedly last January, just a week before we planned to meet, but he leaves his solar legacy behind for all of us to marvel at and learn from. 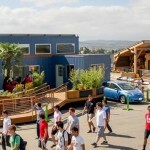 He really wanted to use his house as a way of teaching others about benefits of a green solar home “on a budget”. As a very tiny way of repaying his years of kindness to the community I would like to share with you some of the things that Frank was able to accomplish in his home. First of all it is important to note that the house is facing North, while the back is facing South which is an ideal orientation to reap the solar benefits of your house. As you see, the roof is all white, coated with a special reflective, water proof paint like coating by the Conklin Co. It reflects the heat back and keeps the house at very comfy temperature without AC. The house is hugged by Hardie fiber-cement shingle style siding with extra insulation underneath. These shingles were made of cement like materials with fiber. 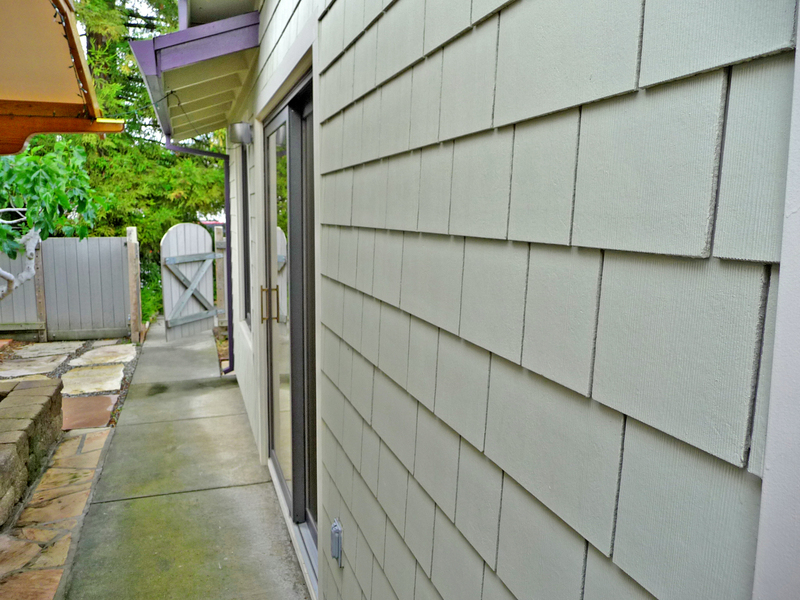 Not only they look like your standard cedar shingles, they resist rotting or cracking and are totally fire proof. Sun room was later added on by Frank. It’s purpose is to act as a sun’s energy “gateway” to the house. 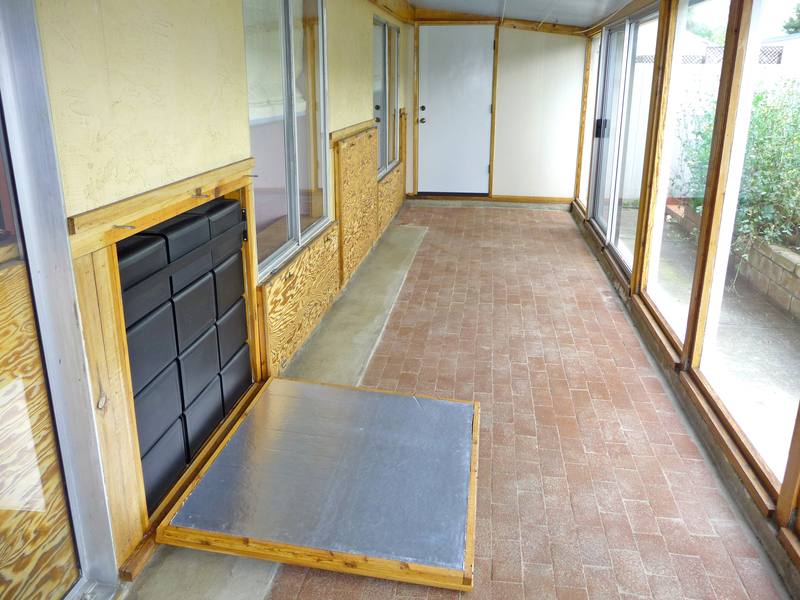 All the heat is absorbed by the sun room’s concrete and brick floor which acts as heat storage. The roof is angled with precise calculation here to receive maximum sun exposure in the winter and minimum in summer, when the heat is not needed. 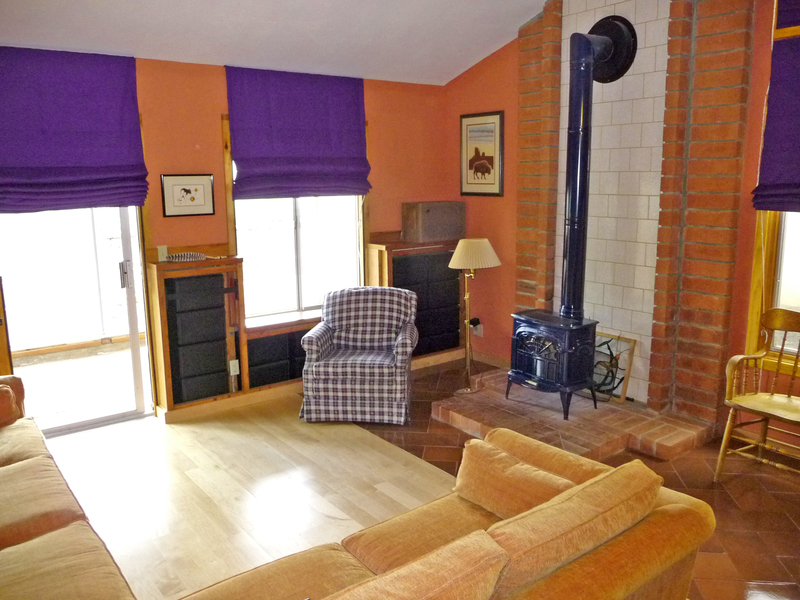 Sun room is a closed off area from the main house but once the doors or thermal panels (see below) are opened, the house is free to benefit from the collected heat. 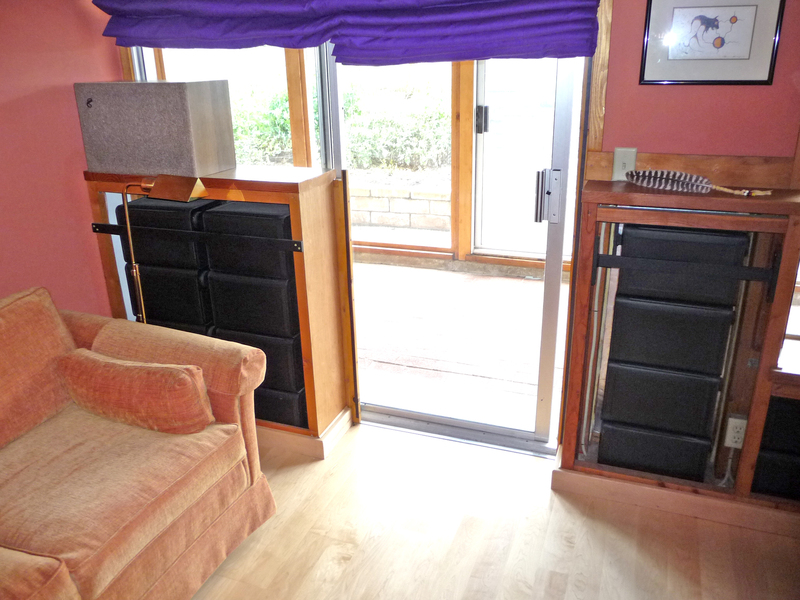 Perhaps the most genius feature of the house is the fold down panels and “water walls”. Frankly, I had not seen anything close to this contraption before. Look at the picture below. You see the black metal cans installed in the walls? They are always filled with chlorinated water and act as thermal collectors that store heat twice as long as stone. You can close the insulated panels exposing the cans in the sun room and all the heat collected during the day will be transferred to the house over night keeping the rooms warm and cozy. In summer panels remain closed, so that water can remain cool and act as natural AC. Franks said the house remains at a comfortable 70 degrees year round. Now obviously not everyone would like the look of black cans around the house but Frank also taught a few other methods to achieve similar result. To further control temperature of the house Frank used energy performance windows and thermal curtains. These were very functional, beautiful and could be enjoyed by anyone. 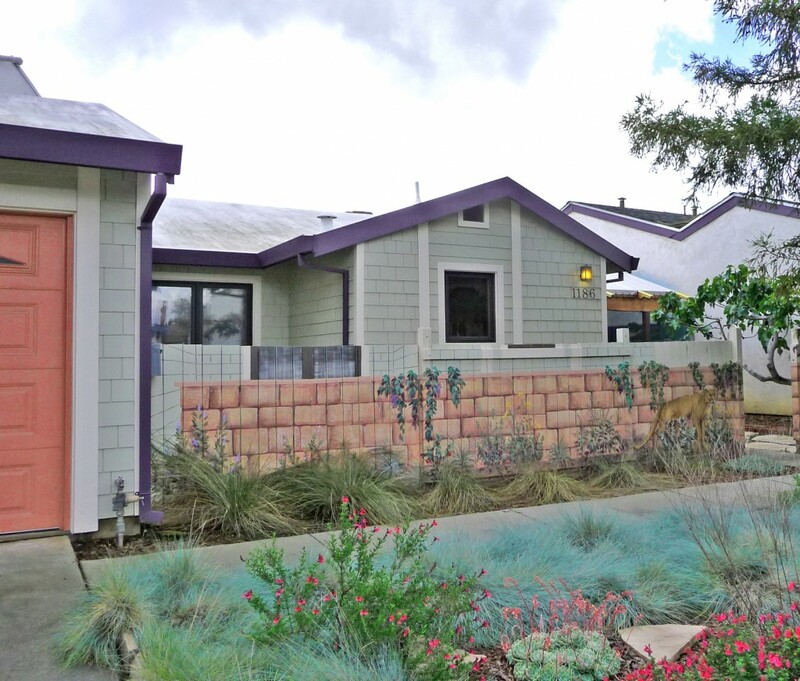 Water Wise landscaping with native plants will reduce your water usage to one fourth of a standard home. Frank certainly proved that landscaping can be quite beautiful without the lawn. Drainage system around house is all connected to pipe under gravel which irrigates a strategically planted redwood tree to shield the house from late afternoon sun in the summer. To further limit his dependency on the utility company and reduce his environmental impact, the house was equipment with a small 800 watt solar panel system and solar water heater. Since Frank’s use of electricity was minimal he did not need a big or expensive system. After all, the man replaced all his incandescent light bulbs with compact fluorescents, had Energy Star appliances, used a clothesline instead of a dryer, and washed his dishes by hand. His bills ranged from $9 to $25 buks depending on the season. Frank did not have to spend a fortune to retrofit his house. 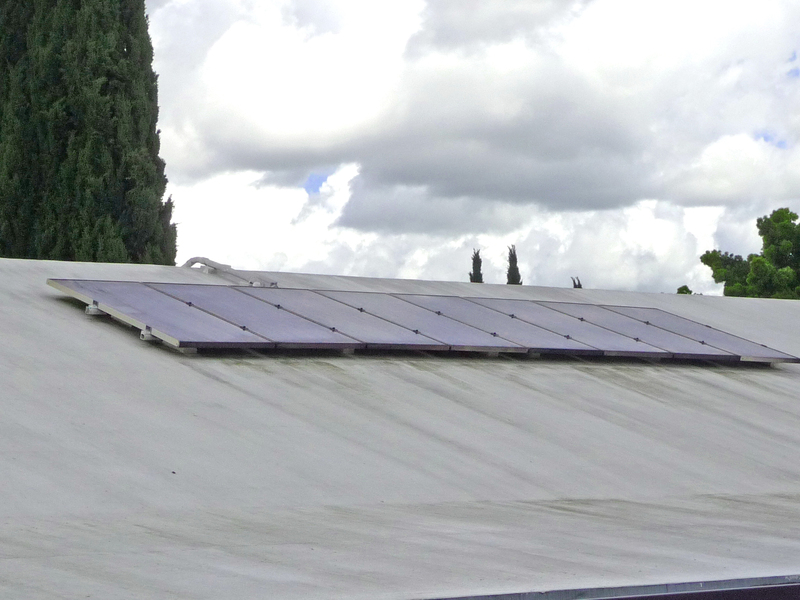 He said he spend about $25,000 (keep in mind this includes the solar equipment on the roof) but he always insisted that these energy upgrades would have cost half of that if they had been incorporated into the building process from day one. Frank liked to explain things in a language that everyone could relate. His three big things to remember when it comes to energy use is food, home energy, and transportation. “Pay some rent to live on this planet earth” he used to say often. The man was widely admired for practicing what he preached and was an epitome of truly simple life. Not many will be able to follow his suit of purist and minimalistic lifestyle and not everyone should. He’s a great example though that such life is possible and he certainly demonstrated to thousands of people how to build a house that will support the goals one one’s harmonious existence with nature and self. Being a physicist, Frank knew that energy is never created or destroyed. It is only transformed from one state to another. As his body came back to earth, his spirit and legacy lives. Thank you for all of your inspiration. Frank WAS and IS the change he wanted to see in the world, and inspired so many of us. We would share an occasional bottle of red wine and share ideas on how to inspire kids and adults alike. I still miss him and his gentle wisdom. Thank you for sharing your memories and perspective on Frank’s living vision. Thank you Scott for sharing kind words about Frank. I totally agree with you. There are few as him. I met Frank in 2009 where he spoke at the San Jose Green Schools Conference. He was the best thing at the whole event. I was deeply moved and rang him up after the conference where he invited me to tour his home and share his wisdom on sustainability. We met a few times exploring ways to help our schools and teach our children. He was/is an inspiration for a more harmonious loving world. Being around him you felt cared for with his high regard to life and truly caring. You couldn’t help noticing he was a living example of all he believed in. He walked his talk. Everything we do in our lives should be taken with great care and value. I am so sorry to hear of his passing, he was vibrant and beautiful through and through. Oh gosh. I tried find Frank today because I think of him often and wanted to reach out to him today about something. I have not spoken to him in over a decade. He was my professor at SJSU before he retired. I lived around the corner from him. I had no idea he had passed suddenly. Does anyone know what happened to him? 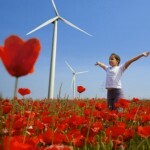 Looking for The Frank Fund Rasing to Save the Planet by leading the way here in restoring the Valley of Hearts Delight. I need help to make Moreland School District the 1st Solar Utility Co-Op with help from Tesla (Battery Units).